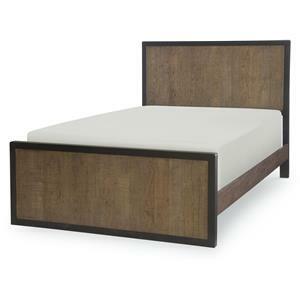 The Bayview Bed features a transitional style that enhances any bedroom. 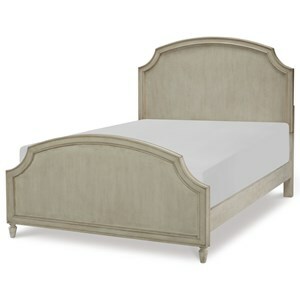 Constructed of carbon steel for stability and years of everyday use, the clean, straight lines of the 52.5-inch headboard and 22-inch footboard are simple and elegant, and both pieces are upholstered in a gorgeous Gray Dove fabric with a rich Black Pearl-finished metal trim. 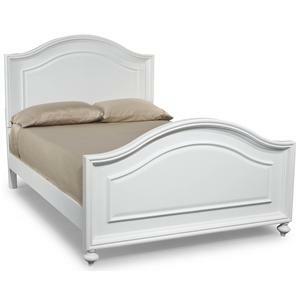 The headboard is very sturdy to lean upon while reading a good book or returning a few e-mails before going to bed. The engineered bed frame consists of iron rails, cross arms and (4) feet to provide full support to your mattress and box spring (sold separately). The Bayview will transform a room from ordinary into something interesting and sophisticated, while providing that calming retreat area you’ll want to utilize throughout the day. 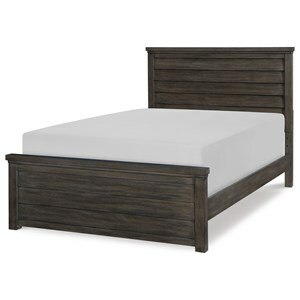 This unit measures 52.5-inches height x 53.75-inches width x 78.5-inches length, includes a headboard panel, footboard panel, bed frame, instructions, and hardware bag with everything needed for bed assembly. 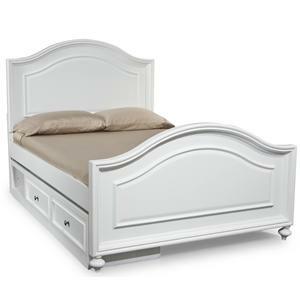 The Bayview Complete Bed comes with a 1-year limited warranty against manufacturing defects. The Bayview Bayview Full Bed with Metal Panels and Gray Dove Upholstery by Fashion Bed Group at Fashion Furniture in the Fresno, Madera area. Product availability may vary. Contact us for the most current availability on this product. 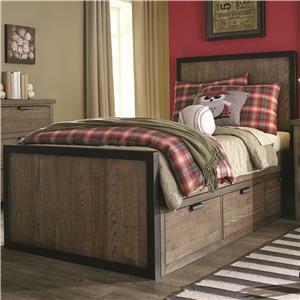 Browse other items in the Bayview collection from Fashion Furniture in the Fresno, Madera area.